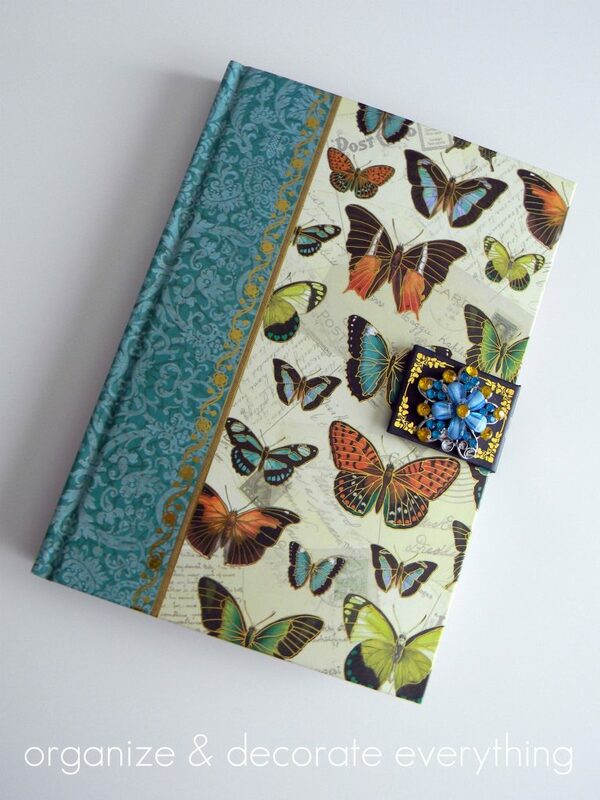 Make this Kindle Cover from an old journal and a few pieces of felt. I don’t know if it ‘s because I’m cheap or because I don’t like waste or because I like to be creative. Maybe it’s a little of all three. But taking something that isn’t useful to me and making it useful gives me a ton of satisfaction. Turning this journal into a Kindle Cover saved me a lot of money and gave me something I really needed. 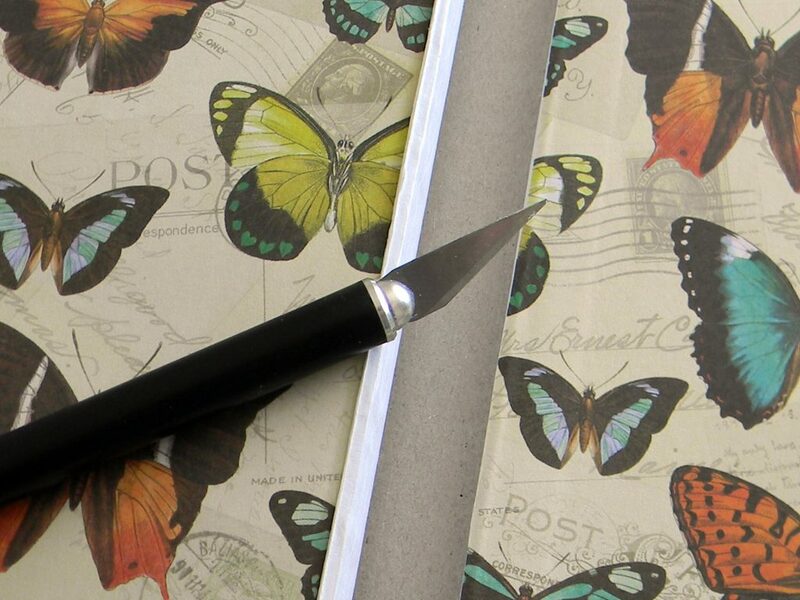 Start by cutting out the pages using a craft knife. I made sure the depth of the journal was the right size to hold the Kindle and a small notebook. 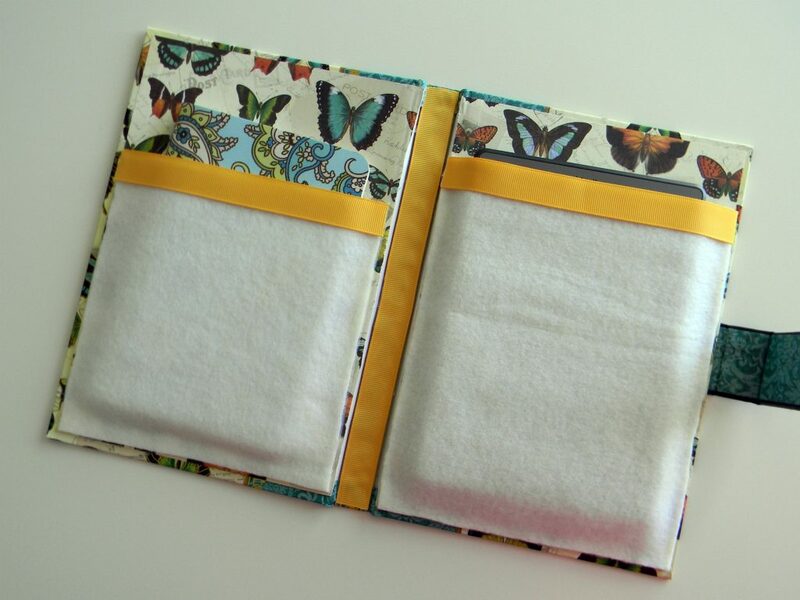 Make pockets using thick felt. You could also use fabric but I would make sure it had a little stretch to it. You could even use a patterned felt. Since the back of the journal already had a pattern I went with the solid white. Cut the felt a little wider than each side of the journal. Secure it to the journal using hot glue or E6000. The E6000 takes longer to dry but is stronger once it’s dry. 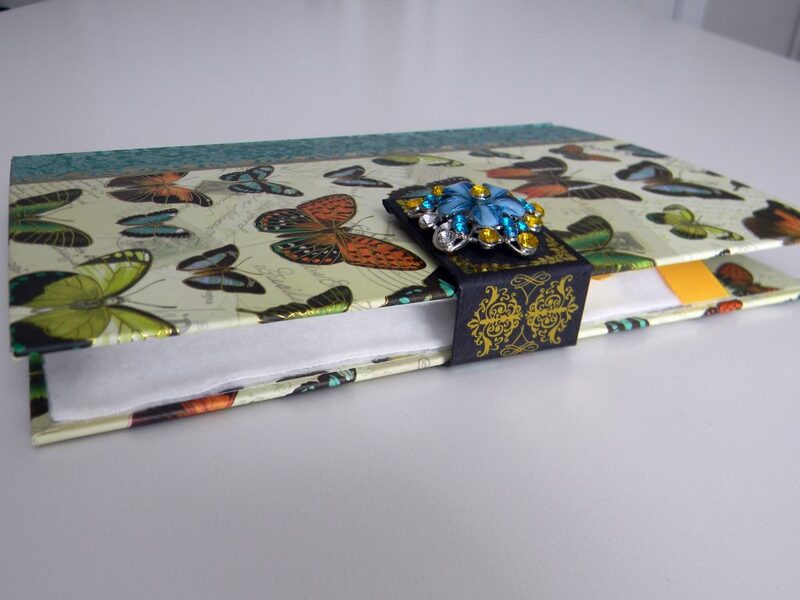 Finish off the edges and the inside spine of the cover with ribbon. 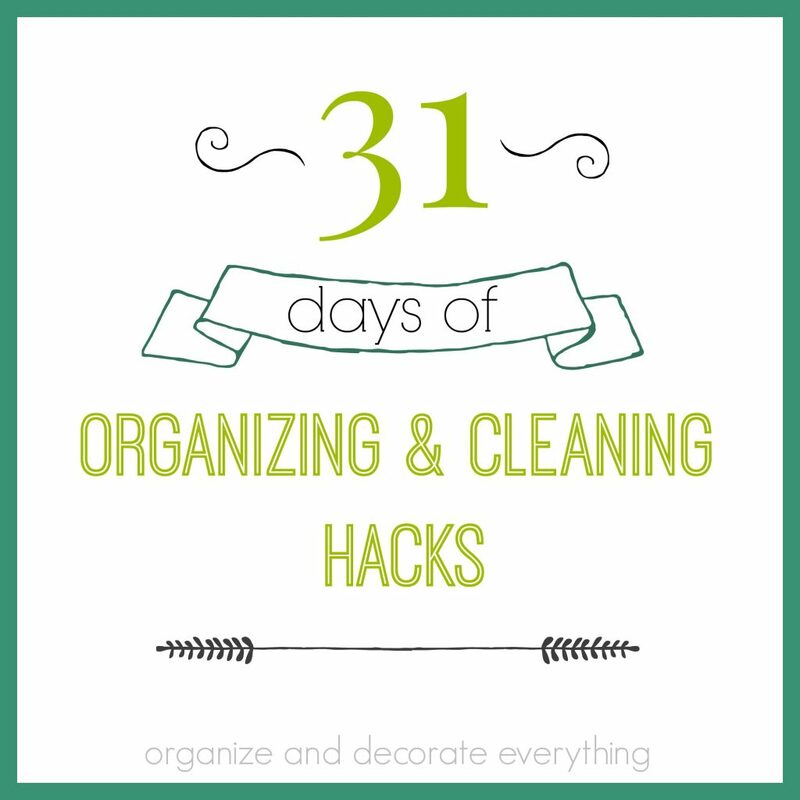 Use hot glue or fabric glue to secure it in place. I like to have a notebook handy to jot down ideas so I made a pocket for it too. 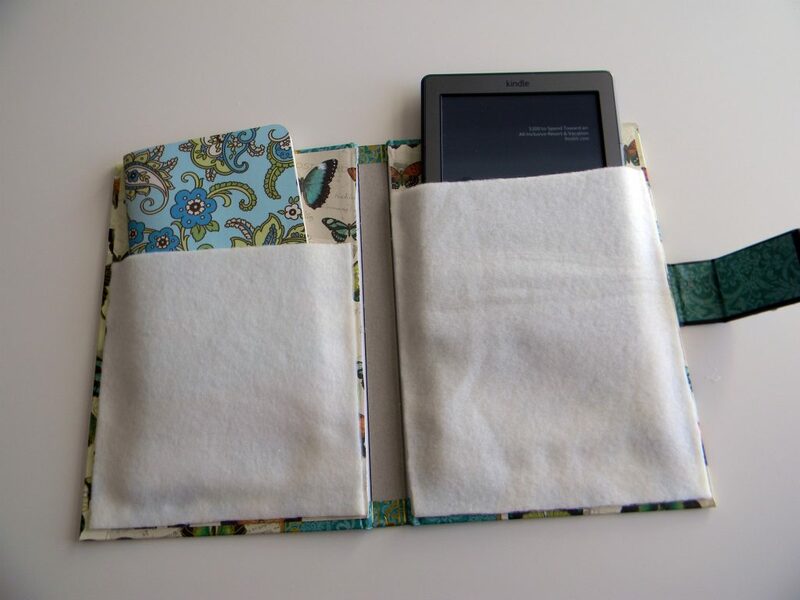 The cover is so easy to make and is exactly what I need to keep my Kindle safe. 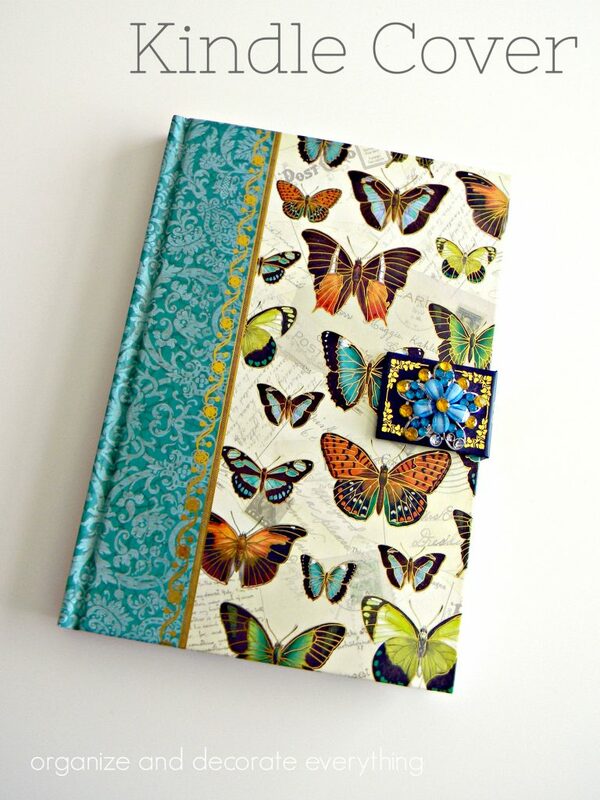 If you have an old book or unused journal this might be the perfect way to repurpose it.